Can nuclear energy be the key to improving patient data integrity and patient safety in healthcare? The following post on how nuclear imaging improves patient data integrity and patient safety in healthcare was submitted by Karandeep Virdi. The field of science and medicine has shown tremendous progress in the last two decades. Nuclear imaging is a branch of the medical field and has gained popularity in the recent past. Preclinical Medical Imaging is assisting in revolutionizing health-related research and expand understanding related to several medical applications. The nuclear imaging systems industry is set to grow in the future as R&D is on the rise and the overall infrastructure fosters the growth in patient healthcare systems. In the current era, it is essential to keep a check on the quality of healthcare systems. Medical diagnosis and imaging have gained significant popularity in the last two decades and the trend is set to continue. Expert in patient safety, Robert Wachter, M.D from University of California, San Francisco, said that it is important and vital to add value to the healthcare system. Vivian Lee, CEO, University of Utah threw light on the subject and explained how radiologists can add value by taking more responsibility to make an accurate and precise diagnosis. Radiologists trained in the last three decades are focusing on enhancing value and reducing treatment costs. Certain surveys portrayed the advances in modern medicine held imaging breakthroughs in CT scans, MRI’s and mammograms at the top of the list. However, the interest in radiology is fading off among the medical school graduates. According to the Association of American Medical Colleges, radiology residency seats are unfilled and the application rate for the same has dropped owing to a steady decline in the income. According to Ken Ferry, CEO, iCAD said that the launch of the innovative solution to spearhead in cancer detection and workflow efficiency. He further added that such useful solutions have proved to be an effective solution for 2D mammography. It further assists radiologists to detect cancer at an initial stage. A conventional 2D mammogram examines two images per breast whereas tomosynthesis can develop 100 images. This optimizes the interpretation time for radiologists significantly. The improved 2D image is in sync with the 3D tomosynthesis dataset that creates an efficient and effective navigation tool for radiologists. With the help of imaging coupled with transgenic small-animal models, the progression of a disease can be monitored and regulated to examine an individual’s therapeutics, interventions, and molecular traces. There has been significant innovation in the preclinical positron emission tomography (PET) technology. By using innovative detectors, the systems are advancing to the theoretical limits of resolution with Full Field Accuracy. The initial PET systems provided PET detection functions. However, PET/CT integration offered structural context that is limited to skeletal anatomy and soft tissue. With recent progress in the PET detector technology, the uncompromised PET/MR integrations can be seen that provide high field and sequential data collection simultaneously. 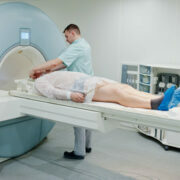 The onset of MRI scanners has boosted the prospects of non-invasive imaging for next generation advanced applications. It is a major challenge to develop a fully integrated PET/MR system as it demands modifications to the PET detector to make it compact and less vulnerable to magnetic fields. Along with significant modifications, to make it entirely compatible with the RF-sensitive MRI hardware is another major hurdle. In the present scenario, the medical imaging market is advancing towards personalized healthcare. The personalized approach in this field would offer patients treatment that is efficient and most suitable for them. Post the successful MediSens conference in 2016, The aforementioned organizations were keen to showcase their recent developments in imaging technology. For instance, ON Semiconductor showcased the image sensors manufactured by the firm for medical applications. The need for a multimodality imaging in healthcare was revealed by Dr. Dimitra Darambara, Institute of Cancer Research. Dr. Dimitra threw light on the topic by explaining that there are different ways to look at a disease. However, each of the modality offers a different perspective. The attendees of the conference shared a common objective—how the quality of medical imaging technology can be enhanced. The Nuclear Imaging Systems and Equipment Market will witness a steady growth in the future as R&D is on the rise. The medical experts, medical schools, and major market players have shown interest to collaborate and develop efficient and reliable medical imaging systems. The market is set to grow significantly in the developed markets such as North America and Europe owing to technological advancements and quality of the infrastructure compared to the markets in the other regions of the world. However, the Asia-Pacific region offers numerous growth opportunities for the medical imaging systems market. This is due to government support and stable economic conditions in the region. Karandeep Virdi is a content writer for research team of Progressive Markets, who harbors an active interest in medical devices, advancements in the medical field and the upcoming trends in the industry. Karandeep has written extensively on topics covering medical devices, software technology used in the medical industry. We work hard throughout the year to help our community stay informed of the latest news and information on the state of patient identification in healthcare. Our perspective is that the future of patient ID is the patient photo, and with good reason. The ECRI recently recommended that healthcare organizations use more standard means of patient identification, which should include patient photos with their electronic health records (EHR). In addition, many prominent healthcare providers have already implemented patient photo capture initiatives, pointing out that capturing a photo increases patient safety and helps augment effective patient provider communication. Understanding that accurate patient ID in healthcare affects so many more downstream activities and is widely considered to be the “big bang” of effective and safe patient care, the urgency for hospitals and healthcare organizations to adopt more secure patient identification technology has never been stronger. Healthcare providers should take note however that not all biometric patient identification solutions are equipped to address the challenges and complexities of ensuring ID accuracy across the entire care continuum which now includes a multitude of new touchpoints such as connected health devices, patient portals, telemedicine, home health, and more. Investing in a patient identification solution that simply provides the ability to accurately identify an individual when they are physically present at a medical facility is now considered short-sighted. Healthcare providers should now consider adopting patient ID technology that is easily scalable, and has the flexibility to capture and store a patient’s photo for accurate identification during any encounter along the care continuum. In 2016, we wrote extensively about the impact of accurate identification on patient safety including several posts that extrapolate on the imperatives of capturing photos as part of the ID process. We also covered how technology has changed healthcare provider patient ID protocols, the growth and impact on patient ID of iris recognition on smart devices, the characteristics and limitations of patient ID biometric hardware, and much more. Identify Unconscious, Unknown Patients with Biometric Identification Technology – Written in May, 2015 this entry was our most trafficked post in 2016. Understanding how biometric technology works in real-life scenarios can help shed light on its true ability to identify unconscious patients as quickly as possible. The Difference Between 1:N, 1:1, and 1:Few and Why it Matters in Patient ID – Did you know that there are different biometric matching types depending on the type of hardware modality you deploy for patient ID in healthcare? Written in 2015, this post examines three biometric matching types – one-to-many, one-to-one, and one-to-few – providing a side to side comparison of each matching type capabilities and limitations and providing a recommendation of the only matching type that can truly prevent duplicates and protect patient medical identities. Removing the word “scan” from iris recognition healthcare biometrics – Our extensive experience deploying iris recognition biometrics around the world helped us to understand and advocate that the word “scan” be removed from any discussion of this technology. 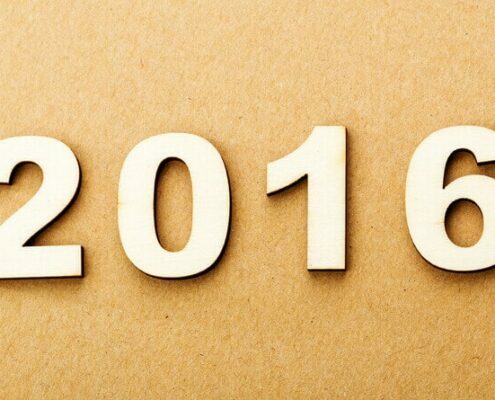 Learn more about our viewpoint in this post from 2015. In Your Face: Future of Federated Patient ID – As we mentioned earlier in this post, the future of patient ID in healthcare is the distinct ability for a provider to capture and store a patient’s photo that can be used for accurate identification at any point along the care continuum. 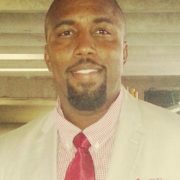 This post, and a subsequent follow up article by our friends at HealthStandards effectively illustrates not only the importance of capturing a patient’s photo at registration but how that photo can be used with facial recognition biometrics for accurate identification no matter where a patient seeks care or data access. Why telemedicine needs accurate patient ID – Following in the footsteps of our assertion that modern patient identification strategies should be holistic and enable the ability to accurately ID patients at any point along the care continuum, this post covers why we feel accurate patient ID is just as important for connected health and telemedicine as it is for in-person visits. 2016 is a wrap. We observed a few positive advancements to improve patient identification in healthcare, but overall we remain concerned that the topic is often skirted in favor of bolder, more splashy initiatives (e.g. – MACRA, Blockchain, interoperability) which always seem to garner more attention. No doubt that these are important initiatives in the healthcare industry but as we have said many times before — accurate patient identification in healthcare arguably should have been the first problem solved before we tackled these other projects. However, factors at play make it perhaps one of the most difficult and complex healthcare issues to solve from a logistical, political, economical, privacy, and health data exchange perspective. What did you feel was the most important patient identification advancement (or regression) during 2016? Please leave us a comment! 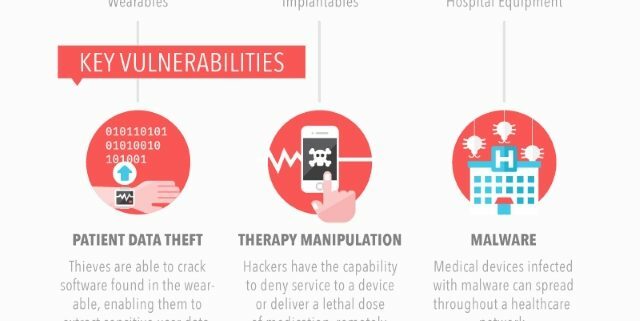 Arxan’s infographic on healthcare IoT shows wearables, implantable medical technologies, and hospital equipment as three types of devices with their own specific vulnerabilities, including patient data theft. As the company points out on their page for protecting healthcare IoT applications, the FDA found that 400,000 hospitals used infusion pumps deemed to be remotely-hackable last year, merging cybersecurity risks with patient safety hazards. Blocking unauthorized access to hospital networks starts with guarding information, but it goes beyond protecting patients’ records. This includes preventing cryptographic key exposure in the embedded apps of the medical devices that contain extremely sensitive patient information, like how much insulin a diabetic patient needs per hour. Remote hacking and ransomware incidents, and even discoveries of vulnerable devices, stress the need for protecting hospital network data at all levels, including the binary logic of software that could be manipulated if a network’s security is compromised. Arxan is a company that focuses on application attack-prevention and protection products for Internet of Things and other technologies, including mobile and desktop platforms. Medical identity theft can seriously threaten your physical and financial health. The following guest post on protecting your medical information from misuse was submitted by Christine DiGangi. When it comes to personal information, your health records are about as personal as it gets. And while it may not seem as immediately damaging as someone hacking into your bank account, medical identity theft can seriously threaten your physical and financial health. Think of all the information you’ve handed over at a doctor’s office: Name, birth date, address, Social Security number, insurance information, family medical history — these are all things someone can use to impersonate you. This makes health care providers targets for hackers. What can they do with your medical data? Plenty. They can open fraudulent financial accounts, commit crimes (besides identity theft), file a fraudulent tax return (and get the refund), buy prescription drugs with your insurance (and maybe sell them, which goes back to the crime problem), claim federal benefits like Social Security, use your insurance to get medical care and countless other things, all in your name. The results of such fraud can end up on your criminal record, medical history or credit report. Say someone got their hands on your medical information and they used it to get medical treatment. That person’s health data could end up in your medical history and affect your future care. What if that person maxed out your insurance coverage, leaving you without the coverage you need? What if medical expenses that person generated don’t get paid? That could result in a collection account on your credit report and cause your credit score to drop until you dispute the error or resolve the identity theft. There’s a lot at stake. We asked identity theft expert Adam Levin, co-founder of Credit.com and author of “Swiped: How to Protect Yourself in a World Full of Scammers, Phishers, and Identity Thieves,” for his top tips on preventing your medical information from misuse. Here’s what he said. A lot of people provide their Social Security number and other sensitive details to their healthcare provider without asking if it’s necessary, Levin said. Just because they ask for it doesn’t mean they need it. Once you hand over your information, you no longer control it, so think about the way you’re providing your doctors with records. Levin said you should never send medical information to someone you don’t know unless you’re the one who contacted them. Lots of health care providers have gone digital, meaning you can access your records or pay your bills through an online account. While password security is important for all online accounts, it’s especially crucial when you’re setting your credentials for a medical website. And if you do end up with physical paperwork that includes details on your health, insurance or any other personally identifiable information, keep it in a safe place. If you want to discard it, use a cross-cutting shredder, Levin said. Until a fraud has been corrected (which can take months or even years), you may suffer some credit damage, which is another reason to try and prevent the fraud from happening and act quickly as soon as you detect it. While working toward a resolution, you’ll want to focus on what you can control, like practicing the safety tips we just described or improving other aspects of your credit. For example, you could work on making on-time payments and paying down debt, which are good things for your credit scores. If you’re having trouble accessing credit because of identity theft, getting a secured credit card might be able to help you keep your credit file active, because a secured card generally does not require a credit check. Monitor your credit reports for unfamiliar collection accounts and other signs of identity theft, in addition to keeping an eye on your mail and insurance for bills regarding care you didn’t receive. The Federal Trade Commission has a guide on how to request and review your medical records for accuracy, as well as how to resolve identity theft. Christine DiGangi is a reporter and the social media editor for Credit.com, covering a variety of personal finance topics. Her writing has been featured on USA Today, MSN, Yahoo! Finance and The New York Times International Weekly, among other outlets. You can find her on Twitter @writingbikes. Iris recognition for patient ID on smartphones will increase patient and provider confidence in using a smartphone for mhealth data access and services. In case you may have missed the news, last month Samsung released the Galaxy Note 7, making it the first commercially available smartphone that features iris recognition biometric identification technology. The recent recall of this phone because of a faulty battery that could catch fire notwithstanding, the ability for consumers to now leverage iris recognition on their smartphones promises to continue the rapid evolution of adopting more secure patient identification technology on digital devices in healthcare. Many say that the future of medicine is on our smartphones and with good reason. Both patients and providers are rapidly gravitating to these devices for myriad reasons including administering routine medical tests, sharing data, and ensuring medication adherence. However, despite the tremendous potential for the smartphone to radically alter healthcare delivery, serious issues remain about hacking and personal privacy which inhibits more widespread use of these devices because many on both sides of the healthcare aisle still aren’t convinced that sensitive protected health information (PHI) is adequately protected and kept secure. 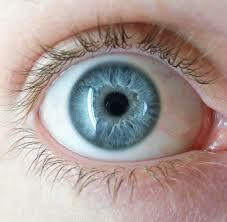 Accuracy: Iris recognition is widely considered to be the most accurate and hygienic form of biometric identification. Smartphones are playing a more prominent role in healthcare on both sides of the spectrum with patients increasingly using the devices to access protected health information through patient portals, share information with providers, for telehealth, and to make appointments and order prescriptions. Providers like smartphones because of their portability, accessibility, and mobility. The ability of iris recognition to replace less reliable and less accurate methods of biometric authentication on smartphones (e.g. fingerprints) will help increase and sustain the momentum of their use in healthcare. This bodes well for the industry wide push to establish fluid interoperability based on clean data because it lends confidence that PHI is accurate providing healthcare providers the confidence to participate in health information exchanges on both a regional and national scale. Eligibility expansion: As of 2015, 68% of American adults owned a smartphone, and 62% of smartphone owners had used their phones to look up information about a health condition (source: http://bit.ly/2dGZ0kQ). The question isn’t whether smartphone use will rise in healthcare, it’s how fast it will rise and how many people will continue to adopt it. Unlike other biometric technologies such as fingerprints that have previously been used on smartphones and rely on skin integrity to work effectively which automatically rules out a certain percentage of the population due to ethnicity, age, climate, and skin condition, iris recognition can be used by virtually anyone dramatically increasing the eligibility of those that are eligible to use it. (And, sorry Network World but your assertion that iris recognition “can’t be used as a verification feature for the blind or people with cataracts…” is inaccurate). We know for a fact that iris recognition does work with blind people and patients with cataracts because dozens of hospitals that use our iris biometric patient identification solution have used it successfully in these cases. Patient Experience: Among the many benefits ushered into our lives from the digital healthcare revolution, increased transparency and accountability is fundamentally improving the provider/patient relationship. Mhealth apps and patient portals have played a key role to help increase patient engagement and accountability for their health but a broad range of privacy concerns remain that have inhibited their widespread use across the healthcare landscape. Iris recognition on smartphones promises to significantly improve patient confidence that their medical identity is protected before they begin to use apps and portals and provides peace of mind that healthcare providers are deploying the most accurate biometric identification technology available in an effort to ensure privacy and security. There is a strong argument that the use of iris recognition on smartphones will improve the patient experience in healthcare. There is little doubt that smartphones will continue to be a rising conduit for access to data and healthcare services in the future. 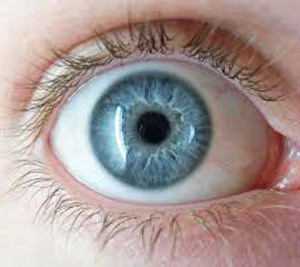 The introduction of iris recognition on smartphones will only help to instill confidence in patients that their privacy and medical identities are protected and help providers to ensure their databases are clean and accurate thereby boosting participation in mhealth as a viable channel in healthcare. Have you used iris recognition to verify your identity on a smartphone prior to accessing an mhealth app, telemedicine, or perhaps another digital health tool? How was your experience and do you feel more confident that your medical identity is better protected? Share your comments with us below. 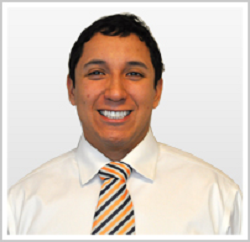 Brad Marshall is an Enterprise Development Consultant with RightPatient®. With several years of experience implementing both large and small scale biometric patient identification projects in healthcare, Brad works closely with key hospital executives and front line staff to ensure project success. 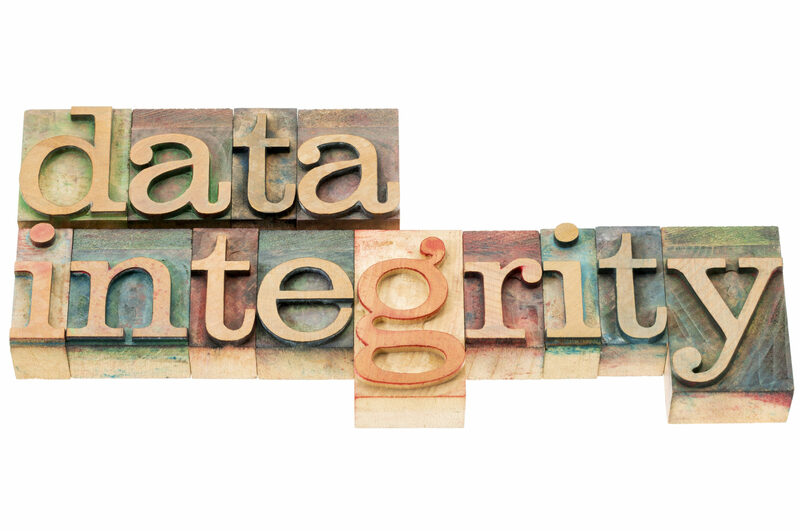 The following guest post on patient data integrity in healthcare was submitted by Gabriel Tedde Cabot. 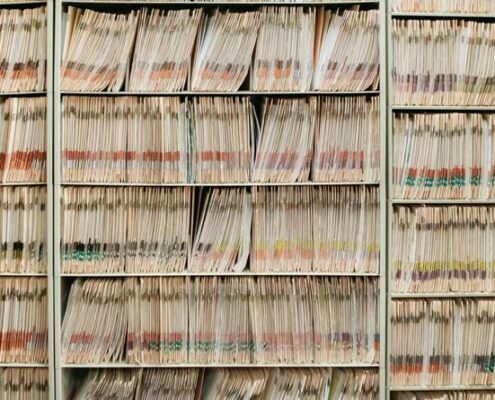 While all physicians, care providers and practices understand the importance of keeping accurate files and records for maintaining patient data integrity, the unique challenges and concerns of a digital file system may pose a greater risk than many practitioners might realize. From the struggle to keep patient records coherent and to maintain unified files across multiple applications and programs to the issues that may be caused by a data breach, today’s practices would be wise to assess the effectiveness of their records and data processes. 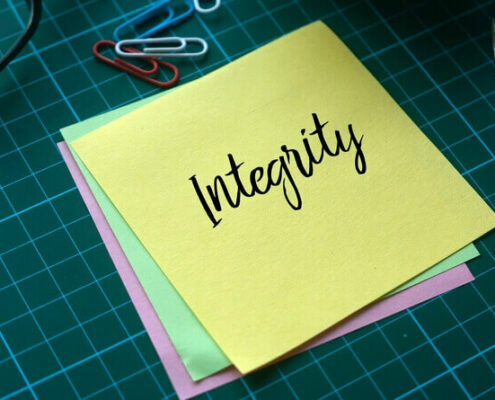 Loss of data integrity may result in any number of potentially serious consequences, ranging from HIPPA violations to compromised patient care. The first step towards ensuring digital information can be created, stored and accessed with greater accuracy is also one of the most important. Creating and maintaining the right digital infrastructure can streamline all processes that may involve patient records and ensure that inconsistencies within a file system are less likely to occur. Applications that can be linked more easily and databases that provide cross-platform support are often crucial assets for reducing errors, oversights and optimizing the efficiency of staff and associates. 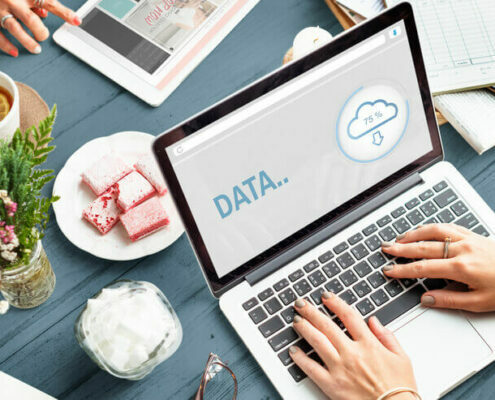 Having the right digital working environment is only one step in the process for ensuring more effective and accurate record-keeping, one that may be of little practical benefit when employees are not properly trained. Properly training all employees who access or use database systems, patient records and similar applications can help to minimize problems caused by user error. Assessing the current skill level, understanding and overall computer literacy of existing staff can also be quite helpful in identifying any areas that may require attention or improvement. Failing to provide ongoing training for their staff is a mistake common to both small practices and larger facilities. Updated software, the addition of new applications and changes to the daily operational process of a clinic, practice or healthcare facility often entails the need to train and educate employees who may not yet be comfortable or even familiar with new systems or tasks. Ongoing training also provides a chance for associates to brush up on any skills or concepts that may have gone unused for too long. Quality assurance can go a long way, both towards ensuring that established resources and operational processes are being utilized correctly and for identifying smaller issues before they have a chance to grow into larger and more serious problems. Assessing the accuracy of past records and ensuring that patient data integrity is being maintained effectively is not a concern that should be left to chance. Further assessments should also be performed whenever new operational policies go into effect or when changes are made to the software, systems and applications used by employees. From instituting a more effective password policy to utilizing secure virtual data rooms, there are numerous ways for organisations to ensure all patient data and information is able to be kept safe and secure. Damage caused by unauthorized access to data, files and electronic information may be considerable and practitioners who fail to make online security a priority may be placing themselves and their patients at greater risk of breach or other security issue. Malware or unauthorized users who are able to gain access to electronic records may result in the loss of vital data or files and records that no longer be considered secure. While even basic measures to enhance digital security can make a considerable difference, more effective may be achieved by organisations who elect to make use of the right resources. Contracting with third-party IT department or security specialist may provide a more cost effective solution for smaller practices that lack the financial resources needed to expand their staff. Investing in secure virtual data rooms used to store and distribute information in a safer manner can also ensure that medical organisations are not placing patient data or information at greater risk. Finding and selecting the services, resources and solutions that make it possible to reduce or even eliminate many of the most common and costly digital security risks is always a worthwhile undertaking. With new applications, digital services and innovations continuing to shape and change the industry, practitioners and medical organizations can no longer afford to fall behind the times. Failing to learn more about new potential security risks or electing to overlook the latest security resources and solutions could prove to be nothing short of a disaster. When it comes to maintaining patient data integrity, staying up to date with the latest technology or learning more about the most recent threats and security concerns is of paramount importance. Gabriel Cabot is a digital marketing strategist from London who enjoys reading, writing and learning about new technologies, programming, health and the Internet. The explosion of online sensitive healthcare data now available online must be secured to protect patient privacy and advance data integrity. The following guest post on protecting sensitive healthcare record data was submitted by Rachelle Wilber. The Health Insurance Portability & Accountability Act (HIPAA) of 1996 requires that any entity that is privileged to collect or store sensitive patient healthcare information keep the information secured and protected against unauthorized access or use. A violation of the HIPPA law has serious implications to any healthcare practitioner or facility. By being vigilant and taking these action steps, you can help to protect the sensitive information of the patients who visit your healthcare facility. Cloud-based data storage and applications service providers are allowing healthcare organizations to use their own encryption keys. These keys are unique to your facility and your own information technology officers can create them. By using these customized encryption keys for data that your healthcare facility uploads to the cloud, you can reduce the risk of unauthorized users gaining access to usable information. If a hacker did get into your database, they would be unlikely to be able to break the encryption key. In addition to encrypting data, you can also code it as it is entered. For example, if a patient has HIV, that condition could be given a numeric code rather than the name of the virus. Only authorized users at your facility would know what the code means. When you are ready to further your healthcare career and learn more techniques on coding and encryption of sensitive data, consider enrolling in one of many healthcare administration master’s programs that many universities offer. These accredited programs help you to master all aspects of administration that are essential to running a productive, efficient and compliant doctor’s office, clinic or hospital. You will learn about data administration as well as coordination of services, billing, communications and data analysis. The physical security of patient information is also important. If your facility uses or still has any paper medical charts, they should be kept under lock and key and signed in and out when they are used. Laptops, tablets and other electronic devices should be password-protected. The computers and tablets should also be locked and put away when they are not in use. By employing these measures in your healthcare facility, you can protect the sensitive patient data that you collect. Maintaining the security of the data helps to keep you compliant with the law. These measures also show to your patients that you care and respect their rights to privacy. 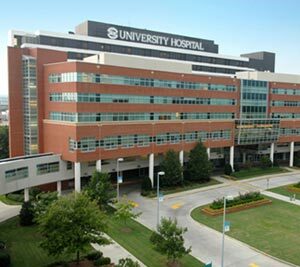 Augusta, GA based University Health Care implemented photo biometrics for patient ID to increase patient safety. It wasn’t so long ago that the term “biometric patient ID” wasn’t even in the lexicon of healthcare providers as a reliable means to improve patient safety, eliminate duplicate medical records, prevent medical ID theft, and increase patient data integrity. In fact, just a few years ago, many providers had never even heard of biometrics used to accurately identify patients and those that did know about the technology could only relate to what they had seen on the movie screen or read in a science fantasy novel. Today, the use of biometrics for patient ID in healthcare has sharply risen as more healthcare organizations realize the technology’s potential to better protect individuals from the perils of misidentification and better understand the ability of select biometric patient ID solutions to be seamlessly integrated into EHR workflow. However, what stands as a true testament to the rising use of biometrics for patient identification in healthcare is the ability of the technology to demonstrate realized return on investment (ROI) against the goals set forth prior to implementation. In other words, the true “proof in the pudding” of biometrics for patient ID can be benchmarked through multiple objectives — how significant was the reduction in duplicate medical records and chart corrections? What percentage of patients are opting into the biometric patient ID system? Has investment in biometrics for patient ID streamlined patient registration? Is the technology effective in reducing cases of fraud and medical ID theft? In most cases, biometric patient identification deployments must mature to a certain level in order to measure the impact on improving patient safety and the additional aforementioned goals and objectives. In other words, beyond restricting medical ID theft and healthcare fraud at the point of service, it’s impractical to expect immediate results after deploying biometrics for patient ID. The system must be in place for a certain period of time before healthcare providers can expect to reap additional benefits — categories such as patient acceptance and enrollment and reduction of duplicate medical records for example. 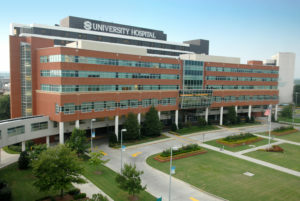 Augusta, GA based University Health Care System is a classic example of a healthcare organization that had clear goals and objectives in mind prior to implementing biometrics for patient ID and are now realizing benefits from their choice of photo biometrics over other hardware alternatives. University Health officials have been pleased of the simplicity of photo biometrics where patients take their photo and are instantly identified followed by the retrival of their correct medical record in the Epic EHR system. With over 99% of patients choosing to enroll in the biometric patient ID solution, University quickly amassed a database of 50,000 patients to participate and the numbers keep increasing each day. Perhaps equally important is the fact that since implementing RightPatient®, University Health has seen nearly a 30% decrease in chart corrections, defined as the health information management (HIM) department’s need to go back into a chart and correct any data entry errors during the patient registration process. 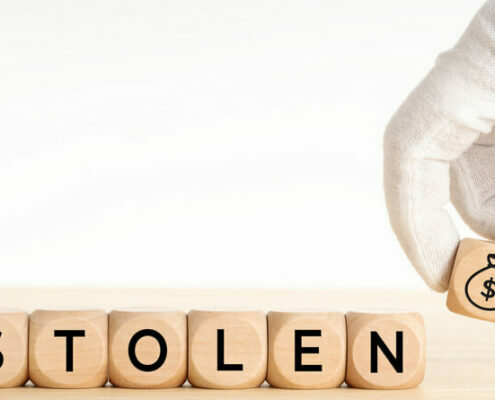 RightPatient® has also been instrumental to eliminate write–offs directly related to patient fraud — in one case a patient attempted to commit healthcare fraud by using multiple aliases in the ED to illegally obtain prescription drugs. Photo biometrics quickly caught the patient by revealing they had previously enrolled under s separate identity and University Health officials were able to quickly notify on-site authorities who sprang into action. University Health made a conscious choice to implement photo biometrics for patient ID after carefully evaluating the characteristics and limitations of fingerprint and palm vein. They concluded that photo biometrics was the most accurate, hygienic, and versatile solution available with strong potential for future deployment at additional patient touchpoints including mobile devices, patient portals, and telehealth — touchpoints along the care continuum that fingerprint and palm vein just do not have the ability to address. Learn more about University Health’s use of photo biometrics for patient ID and stay tuned for more posts on what benefits our end users realize after investing in photo biometrics for patient ID. Improving patient data integrity in healthcare requires a multi-layered approach that addresses both data matching and more accurate patient identification. It is a well known fact that inaccurate or incomplete data within a patient’s medical record can be a catastrophic risk to patient safety, not to mention a serious hospital liability. As a result, many hospitals and healthcare organizations across the industry are closely examining the integrity of their health data and taking steps to clean it, most by using third party probabalistic and deterministic de-duplication matching algorithms (often directly from their EHR providers) that search and identify possible duplicates for an automatic or manual merge. Several key players in the healthcare industry including CHIME, AHIMA, HIMSS, and major EHR providers are beating the drum to improve patient identification and patient data matching, all important catalysts for the push to improve patient data integrity. If you are a hospital or healthcare organization that is knee deep in the middle of a health IT initiative to help increase patient data integrity (especially in the context of prepping for participation in a local or regional health information exchange), you may want to stop and reassess your strategy. The rush to cleanse “dirty data” from EHR and EMPI databases is often addressed by relying on an EHR vendor’s de-duplication algorithm which is supposed to search and identify these duplicate medical records and either automatically merge them if similarity thresholds are high, or pass them along to the HIM department for further follow up if they are low. This could be a very effective strategy to cleanse an EMPI to ensure patient data accuracy moving forward, but is it enough? Is relying on an EHR vendor’s de-duplication algorithm sufficient to achieve high levels of patient data integrity to confidently administer care? It actually isn’t. A more effective strategy combines elements of a strong de-duplication algorithm with strong patient identification technology to ensure that patient data maintains its integrity. Clearly, the importance of cleansing duplicate medical records from a database cannot be understated in the broader scope of improving patient data integrity but relying on an EHR vendor’s probabilistic matching algorithm as the only tool to clean and subsequently maintain accurate records may not always be the most effective strategy. Instead, healthcare organizations should consider a multi-layered approach to improving patient data integrity beyond relying exclusively on an EHR vendor’s de-duplication algorithm. Here’s why. Often not clearly explained to healthcare organizations, EHR de-duplication algorithms allow end users to set matching thresholds to be more or less strict, which comes with trade-offs. The more strict the threshold is set, the less chance of a false match but the higher chance of a false reject. The less strict the algorithm is set, the lower the chance of a false reject but the higher the chance of false acceptance. Translation: Often times hospitals who say they have a low duplicate medical record rate might have a strict false acceptance rate (FAR) threshold setting in their de-duplication algorithm. That may mean that there could be a significant amount of unknown duplicate medical records that are being falsely rejected. Obviously, this is a concern because these databases must be able to identify virtually every single duplicate medical record that may exist in order to achieve the highest level of patient data integrity. So, what can healthcare organizations do to ensure they are not only holistically addressing duplicate medical record rates, but also adopting technology that will maintain high patient data integrity levels moving forward? One answer is to implement a stronger de-duplication algorithm that has the ability to “key” and link medical records across multiple healthcare providers on the back end, and deploying a technology such as biometrics for patient identification on the front end to ensure that not only is care attribution documented to the accurate medical record, but a provider has the ability to view all patient medical data prior to treatment. For example, many credit bureaus offer big data analytics solutions that can dig deep into a medical record database to better determine what identities are associated with medical records. These agencies are experts in identity management with access to sophisticated and comprehensive databases containing the identification profiles for millions and millions of patients — databases that are reliable, highly accurate, and secure with current and historical demographic data. Once data is analyzed by these agencies, they are able to assign a “key” to match multiple medical records for the same patient within a single healthcare organization and across unaffiliated healthcare organizations to create a comprehensive EHR for any patient. Offering a unique ability to augment master patient index (MPI) matching capabilities with 3rd party data facilitates more accurate matching of medical records across disparate health systems and circumvents the problem of MPIs assigning their own unique identifiers to individual patients that are different than unaffiliated healthcare organizations that have their own MPI identifiers. We have long championed the idea that improving patient data integrity can never be achieved in the absence of establishing patient identification accuracy or relying on EHR vendor de-duplication algorithms as the single resource to clean an MPI database. Hospitals and healthcare organizations that are truly committed to cleansing duplicate medical records from their databases and preventing them from reoccurring through more accurate patient identification must consider deploying stronger front and back end solutions that have the ability to more comprehensively identify and resolve these dangers to patient safety. Why not leverage the clout and reach of these big data analytics solutions to more effectively improve patient data integrity instead of putting all of your eggs in an EHR vendor’s de-duplication algorithm? 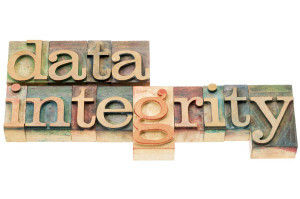 What other strategies have you seen as effective methods to increase patient data integrity in healthcare? David Cuberos is an Enterprise Sales Consultant with RightPatient® helping hospitals and healthcare organizations realize the benefits of implementing biometrics for patient identification to; increase patient safety, eliminate duplicate medical records and overlays, and prevent medical identity theft and healthcare fraud.